Whether you depend on the newest sharpening gadget or have learned how to use a whetstone, keeping your blades sharp will benefit you now and in a post collapse world. Of course, if a dull blade slips and cuts you, you can always practice another skill….basic first aid! My father’s choice of gadgets was a tool similar to AccuSharp001. It’s inexpensive and easy to use and only features one sharpening stone. Simply place your knife, sharp side up, and carefully slide the tool from the hilt to the tip. A few strokes and you’re finished. A tool we’ve been using lately is the Sharp N Easy. It is also inexpensive and features two sharpening stones; coarse and fine. This tool is placed on a flat surface, coarse side up. Run your blade, hilt to tip, across it until the blade feels smooth. Flip the tool to the fine side and repeat. We’ve used this tool on everything from pocket knives to kitchen knives and have been pleased with the results. For serrated knives we’ve found the Smith’s PP1 Pocket Pal. It has both coarse and fine ceramic stones for flat blades. It also has a diamond rod that can sharpen a serrated blade. 2. Insert the tapered diamond rod fully into the serration at the desired sharpening angle. Smith’s recommends a 23 degree sharpening angle for best results. 3. Move the tapered rod back and forth through the serration until sharp. Repeat for each serration. 4. Put the finished edge on your serrations by pulling the serrated part of your blade through the ceramic slot. 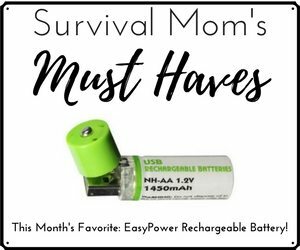 Sharp N Easy and Smith’s PP1 Pocket Pal are small enough to pack in your emergency kit or bug out bag. Some people argue against knife sharpening tools, saying they take off too much of the knife blade and that the angle is too blunt. This causes you to need to sharpen more often. Therefore, let’s look at the old school technique! As with sharpening tools, whetstones come in a large variety of choices and price ranges. They can be natural or man-made. Natural stones use oil as a lubricant, usually provided by the manufacturer. These can be difficult to learn to master. Man-made stones use water as a lubricant and are considered easier to master. Stones come in various grades, also called grits. Rough grit up to #600 is used for repairing small chips in the blade. A medium grit ranges from #1000 to #2000 and is used mainly for restoring the blade. A fine grit of #3000 or above is used for finishing the blade and provides a very sharp edge. The finer the grit the more dense the stone and the sharper the finish will be on your blade. Stones can be purchased with a single grit, two grits, or you can buy kits with multiple stones of varying grits. Choose the stones and grits that best fit your need. Soak the stone in water for 5 minutes. Check with your manufacturer, some stones soak longer. Place it on a cutting board or countertop on a non-slip surface, such as a dish towel, with the coarse grit face up. Hold the knife by the handle and place the edge, point-first, against the stone. The cutting edge should rest against the stone at an angle between 20 and 22 degrees. You can place your hand on the other side of the blade to keep it steady. Using medium pressure, slide the blade forward and across the whetstone. It must cover the entire length of the blade. Don’t forget to keep the entire blade at the 20 to 22 degree angle. Do this several times on one side, then flip the knife over and give the other side the same number of strokes until the blade feels smooth. Flip the stone over to the fine grit side and repeat. Finish by using a sharpening steel to hone the blade, then rinse and wipe the blade dry to remove any metal particles. A honing tool is used to maintain a sharp edge, not to sharpen the blade. Do your homework. Whetstones come in several grits and price ranges. Make sure you purchase a man-made stone if you want to lubricate with water and natural if you don’t mind stockpiling extra oil. Here are a few that caught my eye. 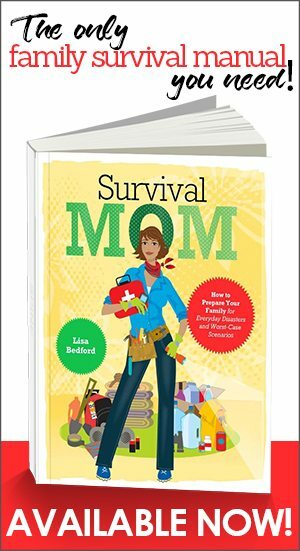 Finally, we wouldn’t be Survival Mom’s if we didn’t check out Bear Grylls’ knife sharpening technique! I HAVE USED MANY GADGETS TO SHARPEN A KNIFE AND IF YOU NEED TO SHARPEN QUICK THE WORK GOOD BUT A STONE IS THE WAY TO GO BECAUSE ITS NOT AS HARD ON THE METAL AND YOUR KNIFE WILL HOLD UP LONGER AND STAY SHARPER FOR A LONGER PERIOD OF TIME. GOOD INFO. I’ve tried a number of methods over the years, but the Lansky Knife Sharpening System is by far the best method that I’ve found. It is the only way that I have found to maintain an exact sharpening angle. I have never been able to duplicate it with just a stone. It is simple, fast, easy, and accurate. A tool omitted from this article is the Chestnut Tools carbide sharpener. Rather than abrading the steel knife edge, it shaves a thin layer of steel off. It works well with the Smith PP1 Pocket Pal mentioned. The carbide sharpener also works very effectively on garden tools from hand pruners up to scythes. Looking forward to more input and suggestions. Like I stated in the article, there are as many types of sharpening tools as opinions. Please let us know what you’ve used and would recommend. The more the merrier! I bought my husband a diamond grit whetstone for Christmas a the suggestion of my brother. It seems like a great item for preps because the diamond grit does not wear down and you just need a bit of water rather than oil (according to the directions). Of course now I just need to actually take the time to sharpen something with it. . .
Jenn has a good point about the diamond grit stones using water rather than oil. I don’t know that it’s all that big an advantage over oil though – you use so little oil that you’re likely to have worn out the stone before running out of oil (assuming that you have a decent can of honing oil). Also, note that with conventional stones, you MUST use “Honing Oil” – not regular lubricant oil. Most lubricating oils have additives that increase the lubrication. Lubrication is NOT what the oil is used for when sharpening. The oil (or water when used with diamond stones) is there to float the particles removed from the blade and from the stone and keep them in suspension. Without the oil, the particles will clog up the pores in the stone and eventually it will get too slick to sharpen effectively. The Lansky is available in either conventional stone (oil) or diamond stone (water). There are other systems other than the Lansky that hold the correct angle, and any of them will do the job. The Lansky is just the one that I have used and settled on. The important thing is to make sure you get a system that includes a way to set and hold the correct angle during the sharpening process. A real expert can do a fine job just by feel and experience. Most of us don’t sharpen blades often enough to get good enough to do it right without mechanical help. Unless you are really experienced and have developed a good feel for holding the right angle, get a system that holds the correct angle for you while sharpening the blade. This guy uses a small binder clip to get his angle on a regular whetstone. Pretty clever! I have always wanted (and needed) to learn to sharpen my own knives. My knives come with a lifetime sharpening service, but the store is at least 25 minutes from my home and therefore, I NEVER take them to get sharpened…..therefore….I cut myself more often. I think I’m going to give the LANSKY SYSTEM a try. I found it on Amazon for only $35. If it is a s good as suggested, I think that would be well worth the investment. Thanks for the tip. Speaking of tips……that has become my favorite thing about this site—-all of the useful information I have received from other readers like myself-as well as the host. Could not agree more; especially with the Skill of the Month. 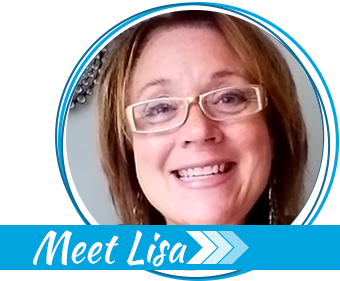 Any thread Lisa posts simply opens her readers to the experiences and expertise of others. 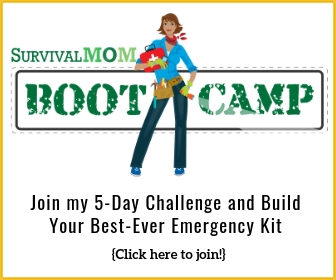 We’re ALL in this together and if I can learn something from another Survival Mom (or Dad), I consider myself extra blessed! The knife sharpening systems mentioned are all good quality systems. But they do have thier limitations. They excell at sharpening kitchen knives and most “v” grind knives since these are the most common. Sharpening on a stone does take experience but it will get a much finer edge that will have less micro serrations. Thats why chefs use a steel and barbers use a leather strop to knock off any “burs” on the edge. Since there are other knife grinds out there the lansky system may not work. Scandinavian grinds also called scandi grinds and convex grinds will not sharpen on those systems due to the angle of the knife edge. Heres is a no nonsense way to sharpen any knife regardless of the type of grind. It will literally cost you $5.00 to get started. The first step is to use the magic maker to color the cutting edge of your knife. This will ensure that you have the “right angle”. Step 2 is take your mouse pad or anything similar and lay it on a flat surface. Place your sandpaper on top. Now you are ready to start sharpening your knife. Instead of the usual push method you would use on a stone, pull the knife the instead. Lay your knife flat on the sandpaper and slowly lift it up until the edge is touching the sandpaper then slowly drag your knife across. You will know when you are doing it correctly when the magic marker is removed from the edge. Work from the lowest grit to the highest grit. Use no pressure on the blade when doing this. The weight of the blade will be enough. Finish it off by stropping on a leather belt. This method of sharpening will start to make a convex edge on your knife. This is a far superior knife edge. It has more metal behind it thus making it a stronger more durable edge. I know this may sound complicated but once you do it once or twice you can get any knife shaving sharp. Plus it will get you acclimated to sharpening a knife by hand. 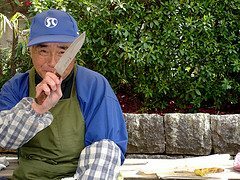 This is how I learned and can get any knife shaving sharp. .